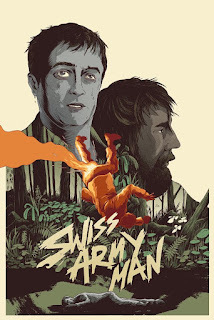 Because they miss the days when there were Saul Bass film posters, The Washington Post asked eight illustrators to reimagine some of this summer’s biggest films, including Swiss Army Man which is illustrated by Joe Wilson. Looks awesome! After reading reviews of “Swiss Army Man” that suggested the movie was largely a fart comedy, U.K. artist Joe Wilson envisioned for his poster an “explosively farting Daniel Radcliffe flying across the center” of his piece. But upon further reflection, Wilson, who works in pencil, ink and digital color, decided to go with something simpler. 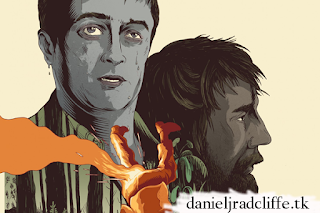 “My piece heroes the two main characters, played by Paul Dano and Daniel Radcliffe, and I used their forms to create the forest aspect,” he said.